All safety reminders are in Adobe PDF format and require the Adobe PDF reader software which you can download at: http://www.adobe.com/reader to download a copy to your computer, right click on the link and select “save target as”. Storm 2006 Safety Memo Why Buckle Up? The best safety and health programs involve every level of the organization instilling a safety culture that reduces accidents for workers. When Safety and Health are part of the organization and a way of life, everyone wins. An effective safety and health program makes all the difference in preventing injuries and illnesses in the workplace. The result is lower accident-related costs. Other benefits include reduced absenteeism, lower turnover, higher productivity, and improved employee morale. And it’s the right thing to do. Our goal is a solid commitment to safety by implementing a safety and health program that benchmarks the power line construction industry. We recognize that our daily operations involve various hazards. We also believe accidents and risks can be greatly reduced if everyone understands and follows safe work practices. We have an aggressive on site random drug testing program that meets both state, federal and DOT guidelines that is implemented quarterly. 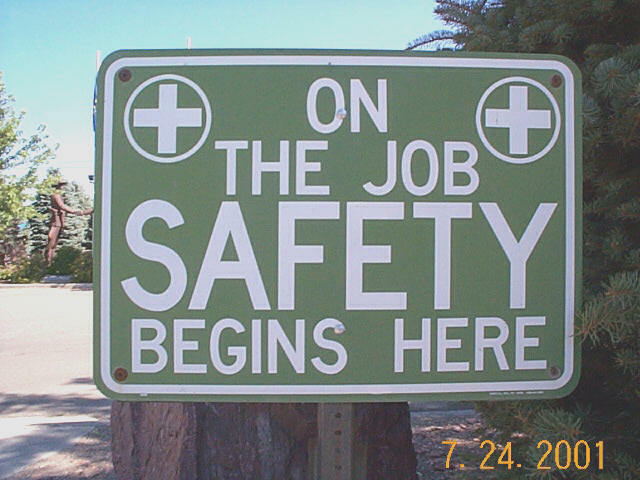 We promote safety in the workplace at all levels through an environment of teamwork, trust, education and training. Based on measurable criteria, Red Rock Power has established an enviable standard of safety excellence in the power line construction industry. Everyone in our company has a voice in safety through our “total work force” safety committee. We are proud of our accomplishments in the area of safety and health. We have made a bold commitment to a higher standard. We strive for zero accidents, reinforcing our company’s commitment to safety as our foremost priority. For our clients, Outback Power’s tradition of safety means lower insurance rates, better morale and greater productivity. The single most important factor in the prevention of accidents is a positive attitude toward safety. A positive attitude toward safety makes a safer work crew.